How would you like to play darts for 25 hours straight? For 41 years, Bonny and Russ Eison have coordinated this fundraiser raising in excess of $409,000. 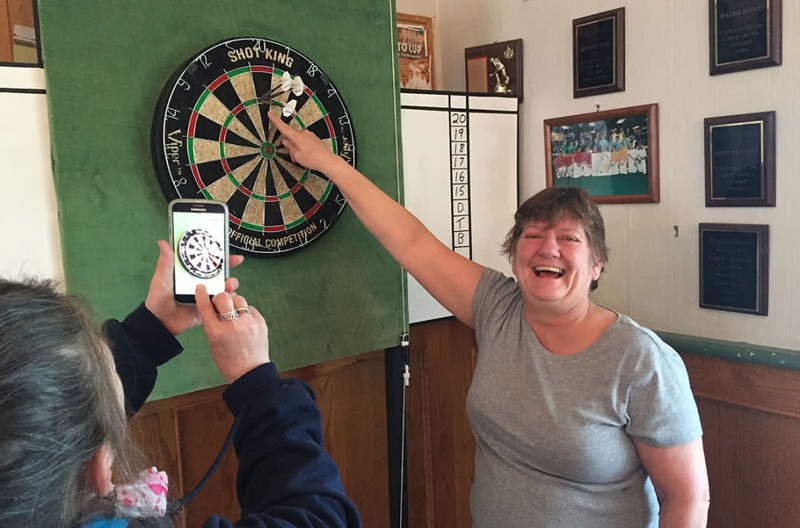 Avid darters, friends, family and community supporters from around Victoria play darts for 25 hours raising funds for individuals with disabilities on Vancouver Island. Thank you to the amazing volunteers, local businesses and community on Vancouver Island who have donated so generously to this event. The 2019 Dart-A-Thon will be happening from March 22nd at 6 PM til March 23rd at 7 PM!